Occupational Noise Exposure Training - This 2-hour program explains the organization’s policies and procedures related to the use of hearing protection. Meets the requirements of 29 CFR 1910.95. 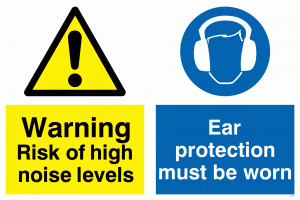 The recognition of applicable hazardous noise sources, the type and magnitude of the noise reduction devices available in the workplace, and the methods and means necessary to protect an employee’s hearing. The purpose and use of the noise and hearing conservation equipment.